Let's face it. It just doesn't feel good to say no. I've been thinking a lot about this the last couple of days. 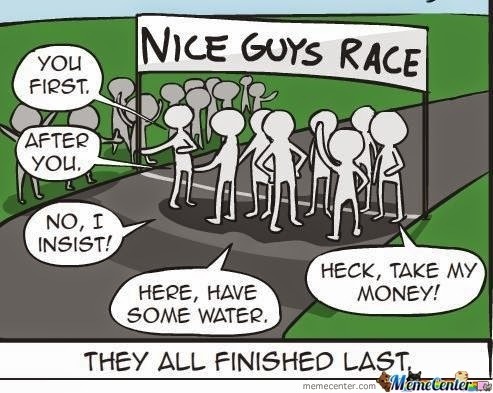 There have been multiple situations where I've been put in an uncomfortable position--where I wanted to be the nice guy, but knew that I needed to say no. I didn't do a very good job at any of them. Last night, the mother of one of my son's friends called me. She made some small talk and I figured she was just calling to check in on the boys, make sure they were still behaving. But then she brought up the real reason for the call. Her family is going out of town for the weekend, and her son wanted to invite my son and 2 girls to go with them. She repeatedly told me she was uncomfortable with it, hemming and hawing, but wanted to know how I felt. In other words, she wanted me to be the bad guy. She wanted me to say no. Which, of course, I did. But what I wanted to say to her, "why the f--- can't you just say no?" I didn't, but I wanted to. I do have a filter. Plus, I was walking through the hospital at the time, so there's that. But truly, this really upset me. I felt like she put me in a bad position, where I couldn't say anything but no. I couldn't tell her how I really felt about her wimpy parenting. And how bad it felt to have to be the bad guy. Just earlier in the day, I was put in another situation where I needed to say no, but didn't want to be the bad guy. 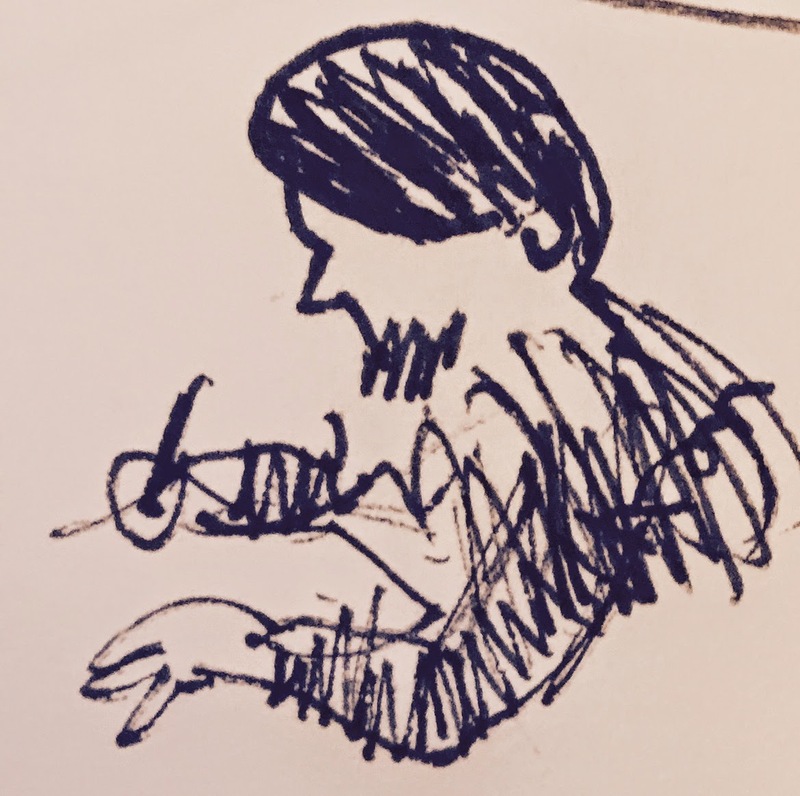 In this instance, I received a message from another blogger, who shall remain nameless. I had never interacted with her before. She told me that she found my blog on another site, and loved the idea of the book club. And would I mind if she started her own running book club? I checked out her blog, and it's really fancy. Professionally done, with multiple headings and pictures that with a click, take you to another page. She's got ads too, so clearly she's pretty big. In contrast, my blog is pretty small. 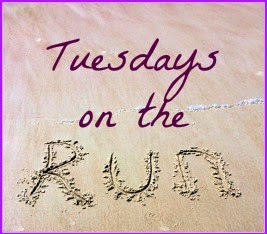 I started my blog to interact with other runners and bloggers. I wanted to share my experiences and inspire other runners. My blog is more of a public diary. I don't have ads, and I rarely do product reviews. I have a loyal following, and I'm happy with where my blog is going. I try really hard to have meaningful content every time I post. I don't post just to post. 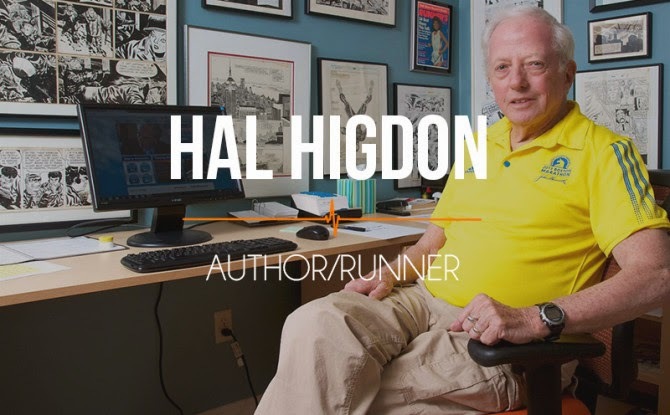 The book club was born out of my love for running, for reading, and for learning. I've had author involvement, which is more than I dreamed of. We've had our 2nd month and so far, the book club has been well received. 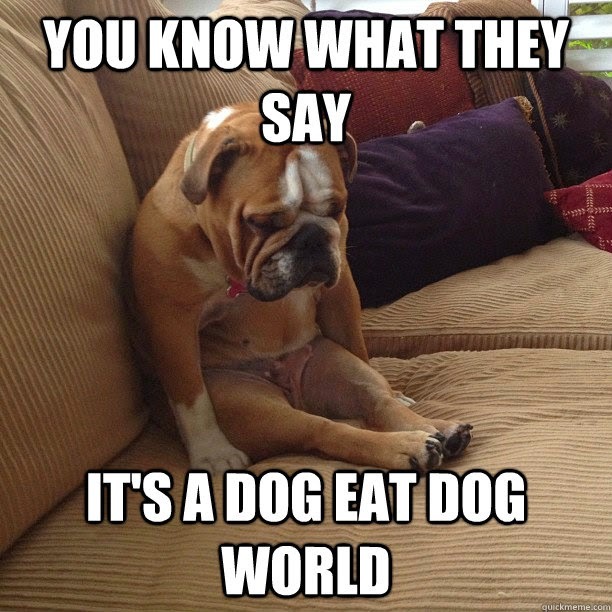 But clearly, it's a blog eat blog world out there. Naturally, I took the easy way out and was nice about it, telling her basically the more the merrier. After I responded to her, I kicked myself all day long. Hard. I kept thinking about how I could have handled it differently. What I should have said was no, or suggested an alternative. Clearly, I'm still bothered by it, because I'm writing about it. For the life of me, I don't know what I would have said, though, that would have made saying no sound ok.
Part of me thinks that there's room for all of us. The blogging community certainly has been supportive of me and my blog! But there are bloggers out there who are looking for only themselves--applying for every campaign, linking to every link up (some not linking back), and loading their blog up with ads. I'm not saying this blogger is one of them. I'd never heard of her blog and never interacted with her before. And she did ask instead of just going ahead with her own book club. All I can say is that it's been a challenge finding ways to grow my little blog. If you've been following me for any length of time, you've probably figured out that I'm not a wimp by any means. I'm pretty good at asserting myself. I do it in my job, and at home. I'm competitive and aggressive on the race course. If you ask my husband, he'll tell you I drive like I race. I will admit that lately though, it's a little overwhelming how often I'm saying no at home. As a matter of fact, I feel like that's all I've been doing these days. Saying no. Maybe that's why I'm faltering. I just want to be nice for a change. Saw this on a car yesterday. Maybe I need to grow a pair....Or the more acceptable alternative, a thicker skin. 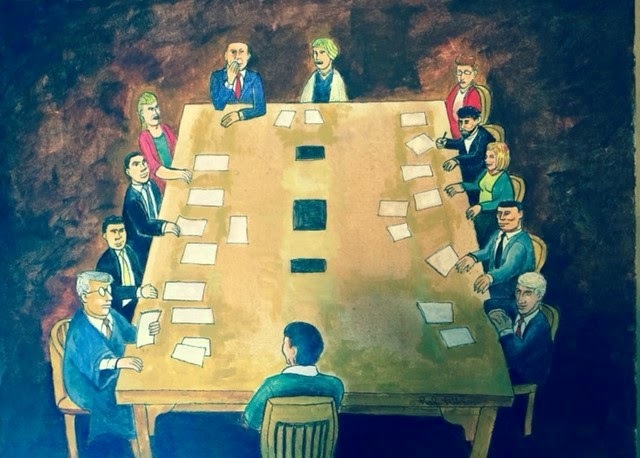 In the situation with the blogger, what would you have done? Am I being too sensitive here? Is it easy for you to say no? Because it's so easy for me to be Thinking Out Loud, I'm going to link up with Amanda from Running with Spoons! What a great link up! Today, I had a really tough run. 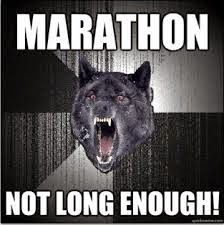 I had my last long run, 12 miles, on my half marathon training plan. Most of my runs have been fast and comfortable lately, and I didn't expect this one to be any different. I've run this distance many times, and wasn't feeling particularly nervous about it. But the universe has a way of balancing everything out, and I was schooled today in pushing myself hard. This run started out tough and never got easier. Lack of sleep and a little tummy troubles didn't help, either. My last half marathon, a month ago, was run with an average pace of 8:34 min/mile, and while I didn't expect to run this long run at that pace, I hoped for sub-9. I got that, but it was tough. When I grew up, my mom always said never to get "too comfortable" with how things were going. One day you're up, and the next day, the rug comes out from under you. That can apply to the road as well. I think you have to be willing to accept your shortcomings as well as your bad days to really appreciate when things are going well. Everything does tend to even out, right? You do have to keep your ego in check. Because if you push too hard, you're going to get hurt. 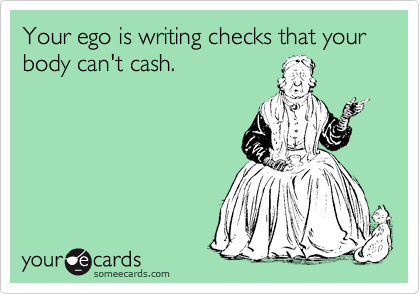 Actually, every yoga teacher I have taken a class with has said: "Check your ego at the door." There's so much wisdom imparted at yoga class, but this is my favorite. It is such a great reminder that we're all students, and that we're always learning. Whether its at a job or on the road, we should have our minds open and willing to accept ourselves where we are at, at that point in time. Not every day is going to be good. Not every run is going to be easy. Some days, we just won't be able to hold a balance pose. Last week I was talking with a woman who hurt herself at CrossFit. She took some time off to train for a marathon, and when she went back to the gym, she started lifting weights she was lifting at her peak. Hurt her back, and she can't do anything right now. Her comment to me? "I let my ego get in the way." A while ago, I wrote a post about finding the right coach. One of my friends reminded me in a very insightful comment that you have to be willing to put your ego aside and allow yourself to be coached. 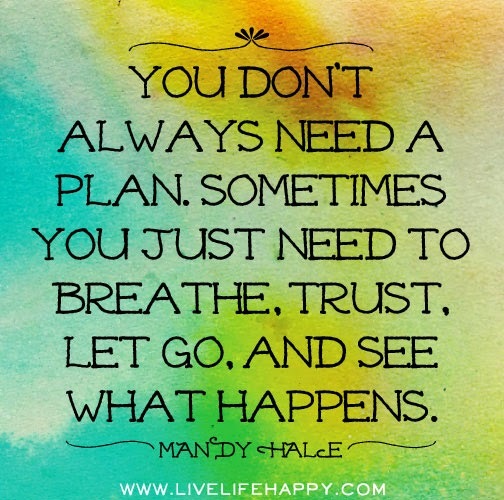 This is great advice. After this post, some people commented that they know enough to coach themselves. While I don't doubt that, an objective outsider may see something you might be missing. Let's face it, it's hard to be objective about ourselves. In working with Becky, I've been humbled many times--and it can be a little uncomfortable. When she was teaching me how to "clean" a bar (not what you're thinking), I was mortified at my lack of coordination. Truth be told, I felt stupid. But I was willing to laugh at myself--why not, she was! Eventually, I did get the mechanics of that move. By learning how to do that and other new activities, I've become stronger in the gym and faster on the road. But I had to be willing to put my ego aside. Putting your ego aside is not easy for anyone. 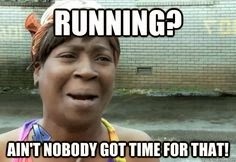 Especially in the world of distance running. I see this on my Facebook feed a lot. One of my favorite sayings is that we are all on our own journey, but when you are constantly seeing posts about people running faster than you or farther than you, it starts to make you question yourself. Am I a real runner? Why am I not faster? Playing the comparison game is a trap that is easy to fall into through social media, and I'm not immune to that either. I've got a few friends running ultras this year, and the race they've chosen sounds like fun. 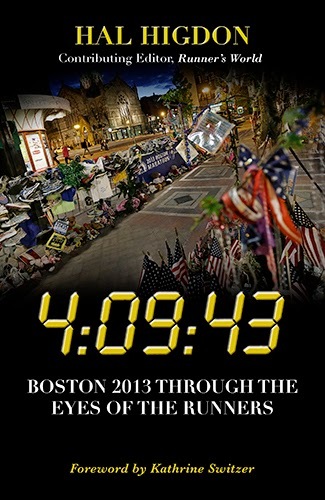 Lucky for me, they've included me in plans for training runs, and I'll go run a portion of the ultra with them. I have to remind myself that my body can't stand up to the grueling distance, and besides, I'm working on a different goal--a sub 4 marathon. 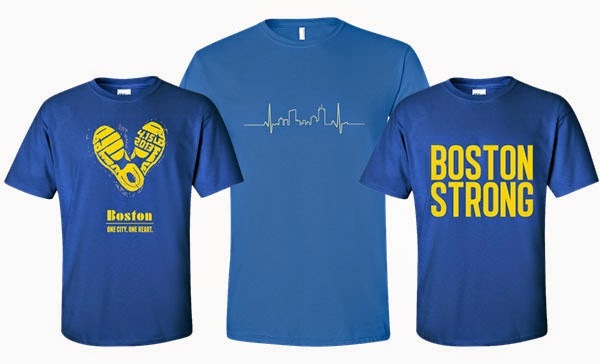 Plus, I really have no desire to run farther than 26.2. Still, I can't help but feel a little tug that I should be running an ultra too. After all isn't the ultra the new marathon? I just read that somewhere. The ego can get in the way of relationships too. I've heard stories about running friendships becoming too competitive, and eventually ending. Guess it's a good thing I train alone! I'd sure hate to lose a good friend because of running. Years ago, I lost a friend because of competition between our boys. Trust me, it wasn't me who was having the issue. Boy, did that one hurt. Interestingly, I've had this issue with my sister, the one I'm so close with. She gets really uncomfortable when I talk about running, in fact, last year she pretty much told me not to talk about running at all. Because running is so important to me, it really bothered me a lot. I had to step back and think about this for a long time before I came to the realization that this wasn't about me at all. 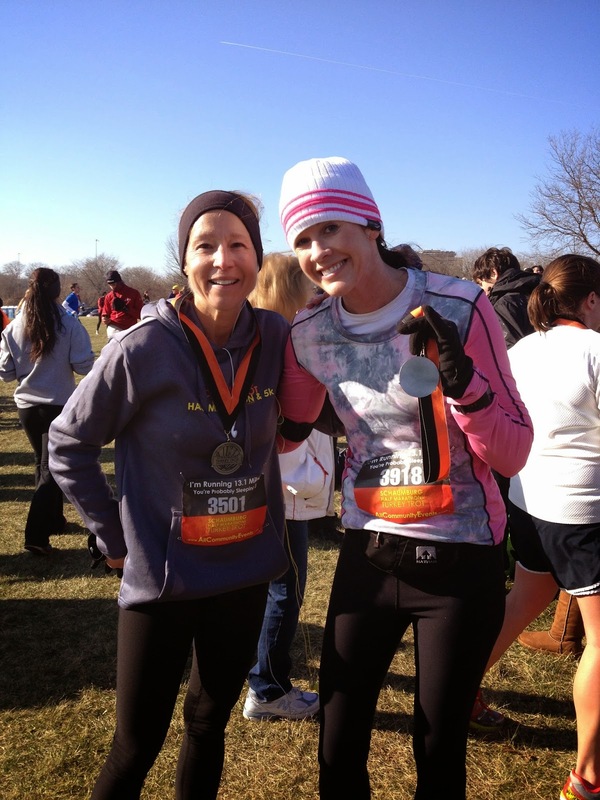 It was about my sister's ego, and how much my success at running made her feel inadequate. 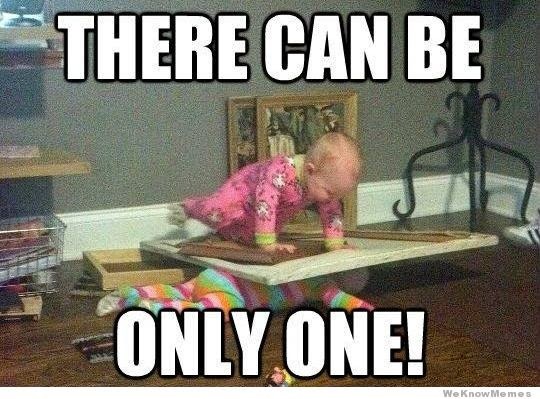 I don't know how things are in your family, but my sister is supercompetitive, and has to be the best at everything. 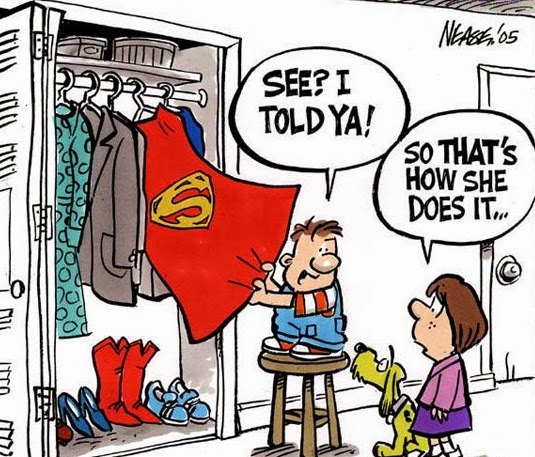 Growing up, I was always the one she could best in most things, and it still plays out, even in adulthood. Since I love my sister and every other aspect of our relationship is good, I just roll with it. In spite of the problems it can cause, the ego isn't all bad. Today, my ego wouldn't let me quit. While I tried to keep my thoughts positive, I couldn't help but chastise myself at times for feeling so crummy. I analyzed what I had eaten the last couple of days. Sipped my Tailwind and waited for the magic to happen. Tailwind isn't a magic potion, but it gave me the energy I was lacking to push hard on today's run. Mentally, I needed this run, and I worked for every mile I ran today. I don't think that's a bad thing. I ran hard and I ran uncomfortable. My training with Becky has taught me to do that. And finished with a time I could be proud off. Miles are miles, after all. After today, I know that I'm ready to run that half no matter how I feel. What would you have done? Would have have called it a day and stopped? Pushed through? Have you lost a friend over competition? 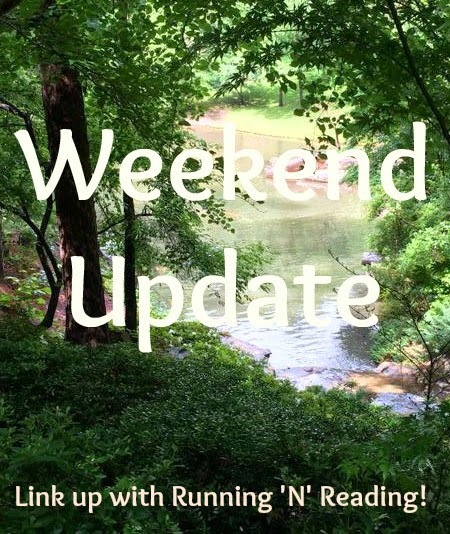 I'm linking up with Tara at RunningNReading for her Weekend Update! Be sure to head over to her blog to check out all the other posts. 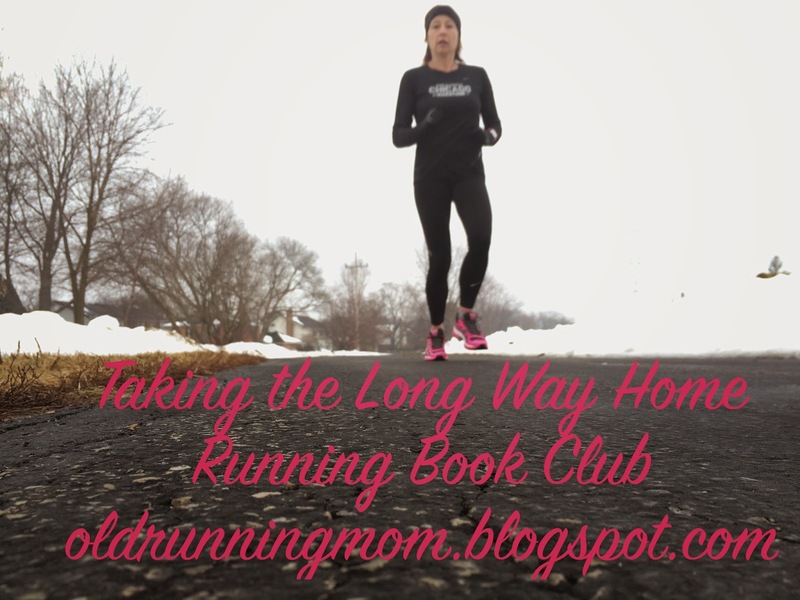 And don't forget to link up with me for the Taking the Long Way Home book club! When I run, I run by myself. This is how it has been for many years. Some people don't get it. Over the years, I've had many offers from people wanting to run with me. 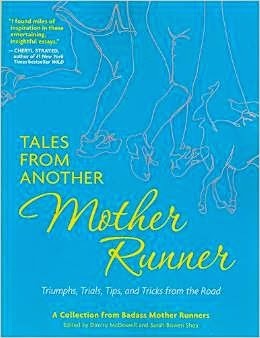 I shared one story with Dimity and Sarah at Another Mother Runner about a neighbor man jumping in on my runs. I finally had to break it to him that I wasn't looking for someone to run with. It felt like a break up. When I told him that I like to run alone, he looked at me like I was crazy. And he looked hurt. He's not the only person who has had this reaction. Another neighbor (another man, am I sending out the wrong message?) wanted to train for a half marathon with me. I told him that I would drive with him to the race, but that my training would be solo. Guess who didn't run the race? Why is this so hard for people to understand? I actually enjoy my long, solo runs. When I run, it's just me, my music, my thoughts, and the road. My marathon training last year was completely solo. This included all my long runs. I had no problem motivating myself to head out the door to run that 18 miler (my longest run). I was looking forward to it. I'm rarely alone. Even as I write this, my youngest son is on the couch, home from school today with a back injury from gymnastics. My husband was off work this past winter and when he finally returned to his job, I savored the solitude at home. I wandered from room to room, just taking in the quiet. There was no one asking me to find a lost item. No one asking what my plans were for the day. Don't get me wrong. I love my family. And I'm not anti-social. My days are full. Full of people, full of activity, full of noise. My job is in a busy clinic where we have 25 exam rooms and patients come and go. The hallways are filled with noisy children and crying babies. My home is in a highly congested suburban area of Chicago. The town borders overlap. One ends and another begins. There's a busy highway 2 blocks from my house and the noise from the road never ceases. The roads are packed with cars. Everyone is in a hurry. The stores are crowded. Airplanes fly overhead with increasing frequency and noise. Sometimes life here feels like an assault on the senses. But there is green space here in the middle of suburbia and that is where I take my runs. The Forest Preserves, with their paths, are a place to find solitude in the middle of chaos. I ride my bike there, and I take my long runs there. Safety is an issue, as you might expect, but I try to go when there are people around. As I run through the woods, I take in the sights and sounds of nature around me, observe the seasonal changes and feel myself relax. And when I get to take my runs to a less crowded place it is pure heaven for me. I'm linking this post to a new link up on DebRuns! Every week she is going to feature a word for bloggers to write about. This was a great choice for the first week. I'm looking forward to this! 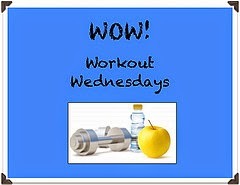 I'm also linking up with the ladies, Diatta and Sheila, at Workout Wednesdays! Be sure to head over and see what everyone else has to say! "I'm too busy to workout". "I don't have time to workout". 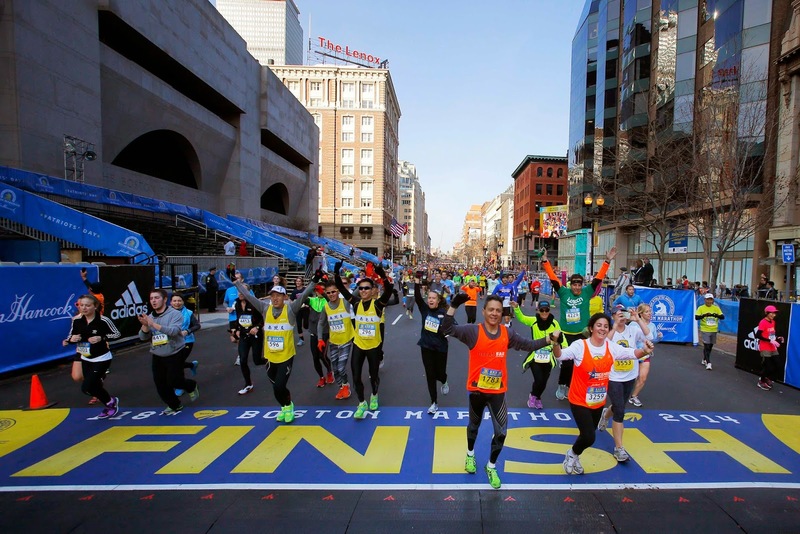 "I don't have time to train for a marathon..a half marathon..."
Actually, yes some of us do...actually all of us do...it's all about priorities. Finding time to run and to train for a race is all about priorities. 20 years ago, I started running to fight depression and anxiety. Running got me through some tough times. It still does. I'm afraid to stop. 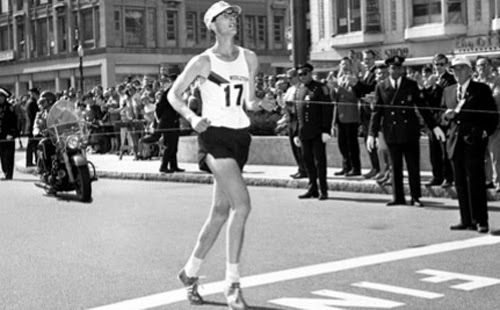 In fact, running is part of who I am. I can't imagine life without running. 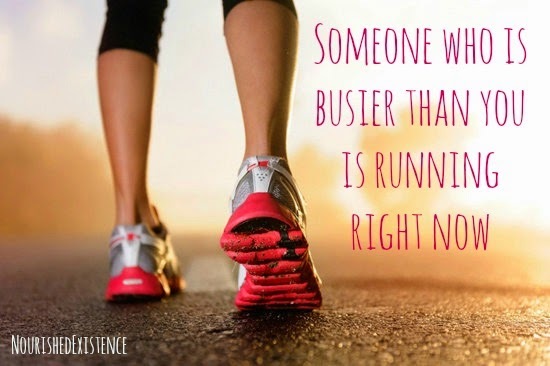 I get asked all the time how I find time to run. In the past 5 years, I've trained for 11 half marathons (currently training for #12) and 2 full marathons. I also work full time and am the married mother of 2 teenage boys. 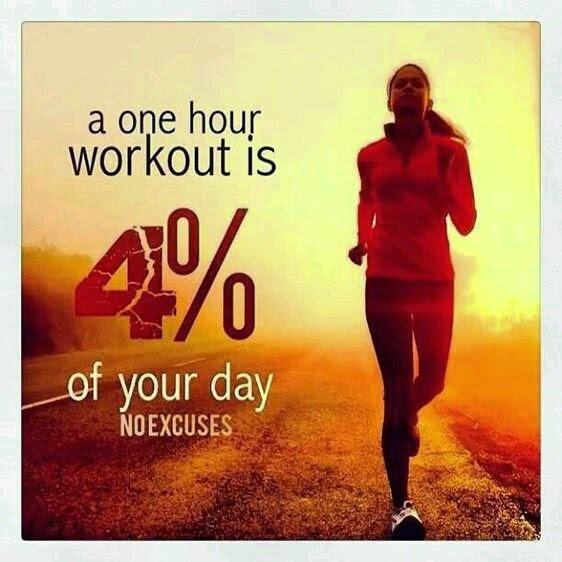 Wouldn't it be nice to have nothing to do during the day but workout and blog? That would be my dream life. That, and living at the beach. Sadly, I have to pay the bills. I like to race too. 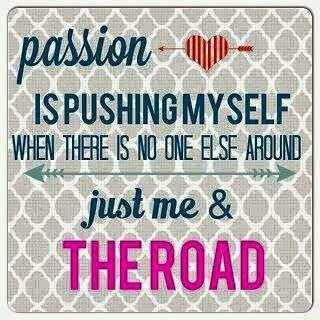 Racing is a great way to check in with my progress, to push myself, to set goals and achieve them. I won't sugarcoat it, marathon training is time consuming, but as a busy working mom, I'm proof that not only can you do it, you can do it well. And it is definitely worth the effort. That feeling of accomplishment carries itself off the road and into your everyday life. 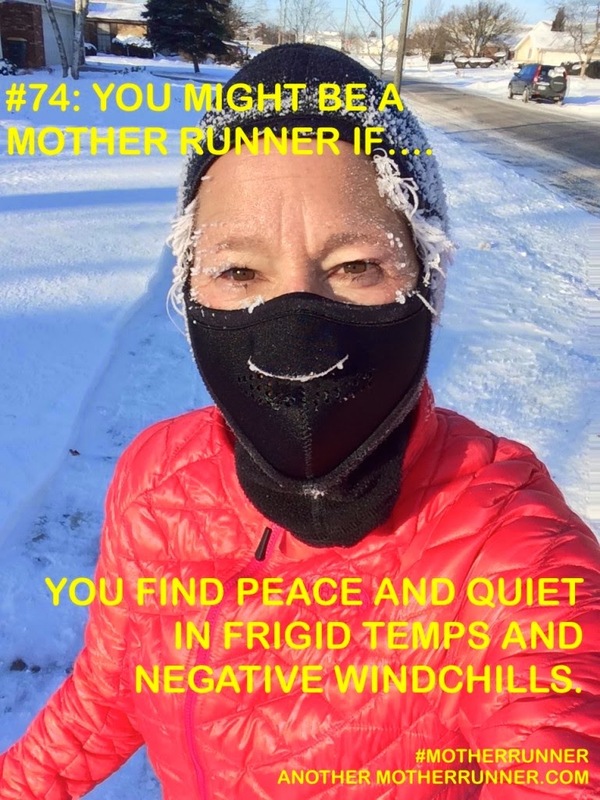 Just ask any busy mother runner. I called on my #tribe to contribute to this post. 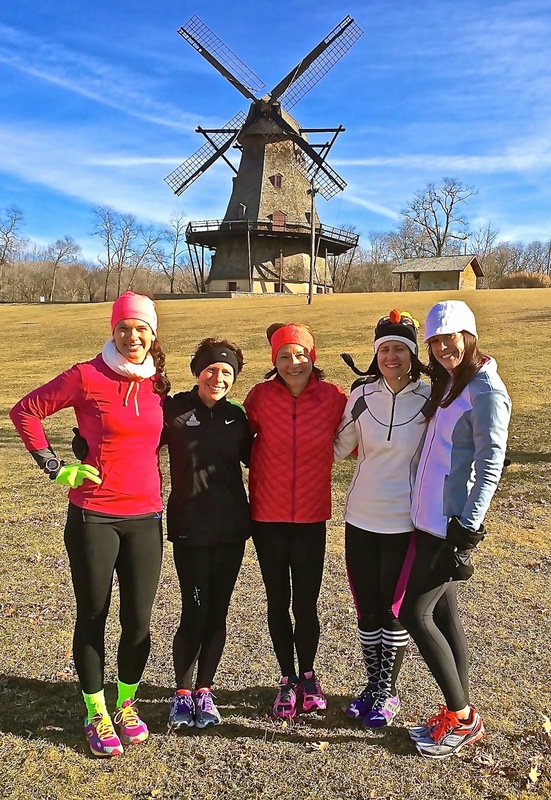 We are 5 busy moms and among us we have all run multiple marathons. 3 have completed ultras. 4 of us also have running blogs! And on top of it all, we find time to get together for some much needed #tribe time. I love these ladies. They make me better. And that's the truth. 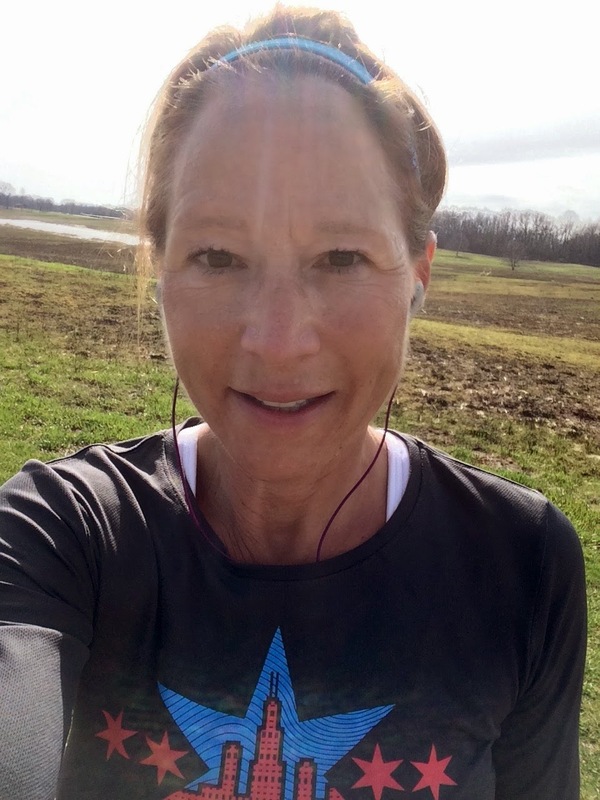 Sara aka Cheesy Runner Mom: I find time to train for a marathon as a mother of young children by making my training as invisible as possible to my family. I do this by waking up early and logging miles on the treadmill prior to waking up my kids for school, and logging any outside weekday miles on the three mornings per week my youngest is in preschool. My only "visible" training is on one weekend morning per week, where I log a long run or run a race. My husband is willing to drive carpool and hold down the home front for a few hours, because it doesn't impact his life the rest of the week. I am always conscious of how my training affects my family, and with these compromises, I have found both harmony on the home front and success in meeting my training obligations. 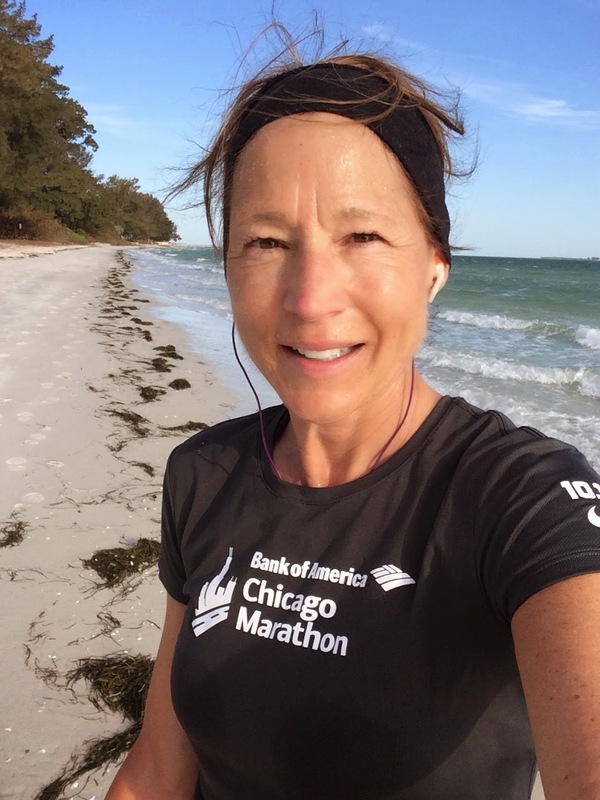 Karen aka Trading in My Heels: When I start training for a marathon or ultra, I sit down and discuss it with my family. You must be willing to be somewhat selfish with your training. This means being gone for 3-4 days a week and up to 4 hours during long training runs. I need to make sure my kids are ok with this before I can commit to training for an endurance distance. Penny formerly known as 26.yikes: Extend the same level of commitment you give to your family, work, friends to yourself and your training. 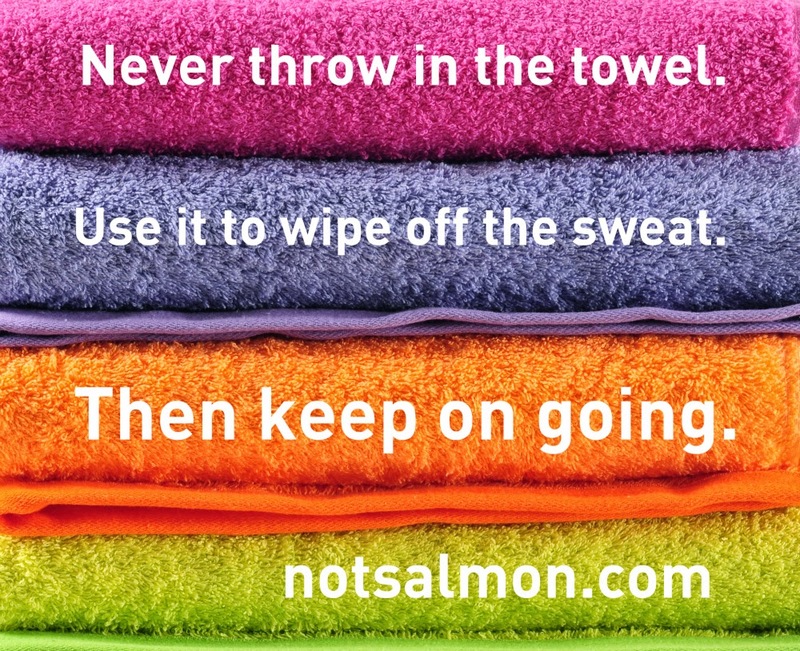 That means even when you don't feel like going for your schedule training run, you do it anyway. How many times as a mom have you felt like you couldn't nurture a minute more, but you do it anyway? Yes, that. Do that in training and you will succeed. Michelle aka This Momma Runs: Ultimately you have to want to make the time for yourself and your training even if the timing isn't perfect. It's a commitment that impacts everyone around me. Since my husband also trains we spend a lot of time working on our "schedule". It changes every week as we try to not impact our children and their commitments. The majority of my runs and swims are done after my daughters go to sleep. I want to be there to tuck them in, so I prioritize my time. I don't love running at 9 pm or even later, but for right now that's what works for our lives so that's what I do. And me: Make your training as much of a priority as you do your family and your job. 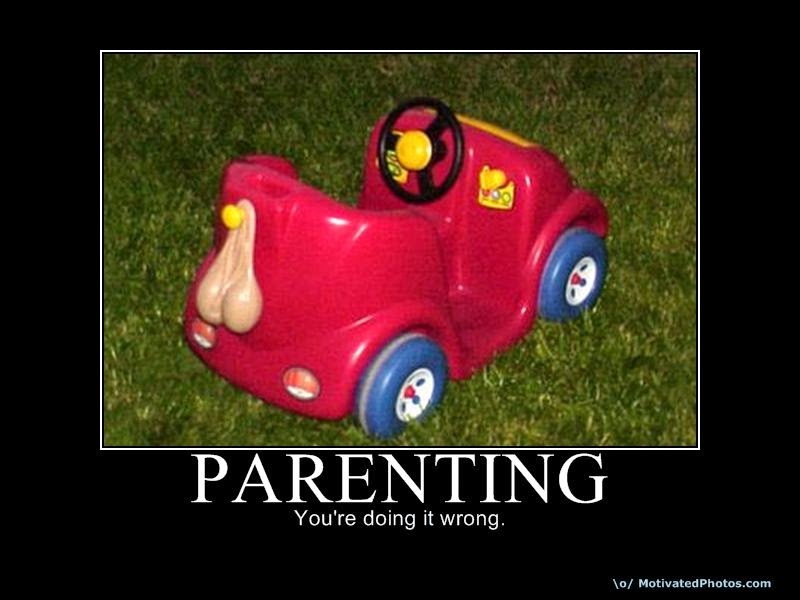 When my boys were little, I used to get up and run at 430 am to get it done before my husband had to leave for work at 6. Sure, it was me, the newspaper delivery people, and the skunks. Now, I'll still get up before the sun if I have a long run on the plan and I have to work. On the weekends, I get up early to get my long runs in before everyone gets up so I don't interfere with any family activities. Yep, sometimes you have to go to bed early. Sometimes you don't get a full 8 hours of sleep. Plan ahead. Lay out your running clothes the night before. My coffee is in the pot and ready to brew for the morning. Be stronger than your excuses. This is your pep talk! You can do this! 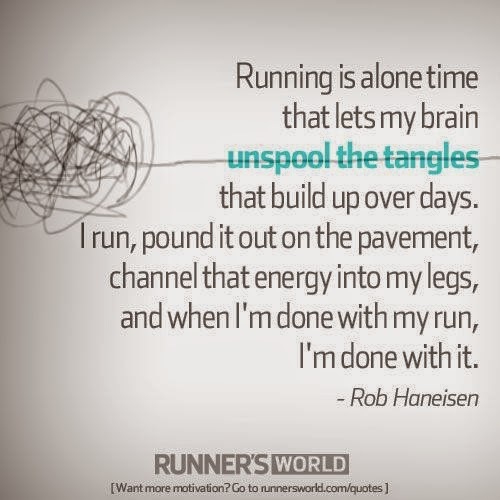 How do you find time to run? To train?